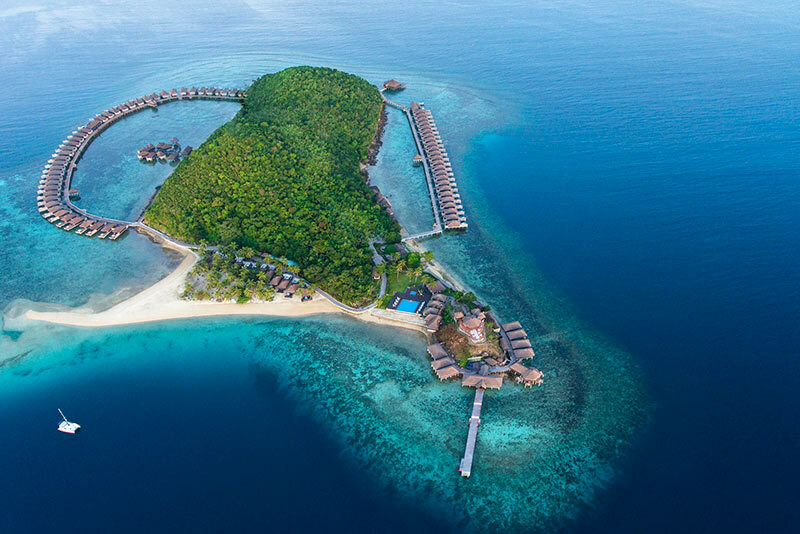 The Diciligan Island, which is located in Busuanga, Palawan, was purchased and developed by ITHC Group of Kuwait. In 2011, its new subsidiary company in Philippines renamed and developed the island into the Huma Island Resort & Spa. It is now a tucked-away destination that makes way for meaning connections. Once upon a time, at the peak of the 13th century galleon trade, one galleon carved itself a name in the history of all ports from the Middle East to Asia. This was the HUMA Galleon. The Huma introduced the most exotic of herbs, spices, cutlery, textiles, opium and tobacco from Middle East to the world. Though at the height of its fame, the HUMA galleon mysteriously disappeared not to be heard from again. Ibrahim, the flamboyant and daring captain of the HUMA was known for his adventures, charm, and collection of exquisite and rare treasures. His taste for the exotic and fine quality craftsmanship has made him the most successful merchant throughout the Middle East-Asia trade. 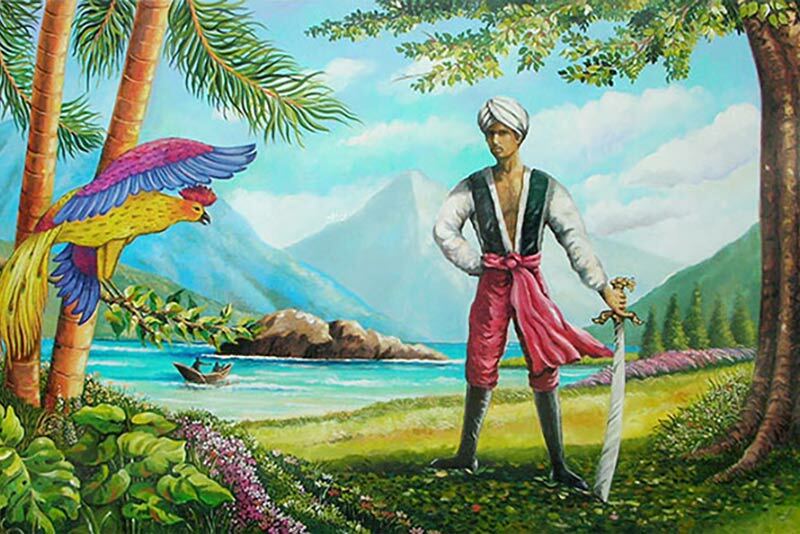 One day, a violent storm was intensifying in the South China Sea where unfortunately, Ibrahim and his Great Galleon HUMA were sailing on their way from India to China. Ibrahim was desperate to complete this voyage as it was one of his biggest yet, carrying a wide variety of rare Italian wines, spices, herbs, textiles and fine cutlery. As he fought the mighty waves, wind and rain for hours he spotted a shadow of what seemed to be two mountains on the dark horizon. With one giant wave, the galleon was pushed towards the shore and knocked out Ibrahim and his crew onto the sandy beach and into unconsciousness. Morning came and when everybody regained consciousness, Ibrahim was enchanted with the variety of corals that spread for miles along the shores and out into the deep blue sea, encrusted with an exotic variety of sea creatures enveloping him as he swam by. The sun setting in the west gave the sky an amber hue and created a golden river as it met the ocean. For the first time they saw beauty and nature at its best; and cared about nothing else but what was in front of him. Ibrahim built his home in front of the beach using wood from his wreck boat and also constructed a common area which he named “HUMA” after his galleon. He became very popular with the local tribesmen and he is remembered for countless story telling sessions. Legend has it that Imbrahim also loved to enjoy the magnificent view of the setting sun. It became a local tradition to gather for extravagant feasts, enjoy sunsets and local holidays at HUMA. After the passing of Ibrahim, HUMA lived on, honouring the merging of the two cultures and the beauty of what was created out of an unfortunate accident. The destiny of HUMA was created. Busuanga is the largest island in the Calamian Group in the province of Palawan. Considered as a destination off-the-beaten-path, travellers cite it as the laid-back counterpart of El Nido and Coron. Known for its fine white sand and crystal clear blue waters, this island is ideal for swimming and snorkelling. Its laid-back vibe invites you to just rest on hammocks and be lulled by the gentle waves. On its hilltop, you’ll see captivating a view of the nearby islands. Pass Island is located 30 minutes away from Huma. About 20-minute boat ride from Huma, you’ll find this island that is teeming with well-maintained coral gardens. Another popular snorkelling site in Busuanga is this shallow wreck that lies on a coral reef. You just have to take a trip half way between Huma Island and Pass Island. This is a 3,700 hectare island off the coast of Palawan. It is home to various species of exotic African animals and endemic Palawan flora and fauna. In here, you’ll find hundreds of giraffes, elans, waterbucks, Calamian deers, monkeys, freshwater crocodiles, zebras, bear cats, bushbucks, and a variety of birds that roam freely. Located on the Western side of Busuanga, this island is known for its long powdery white-sand beach and abundant coral reef. Locally known as Malajon Island, this destination got its name from the beautiful black limestone formation in the island. In here, you can snorkel and swim on a secluded beach or explore mysterious caves that feature majestic stalactites and natural mini-pools where you can take a plunge. Black Island is located 45 minutes away from Huma. Know more about Huma Island’s recreation packages and water sports activities here. 1. Private Sea Plane – Fly directly from Manila Bay to Huma Island Resort & Spa for approximately 1 hour and 20 minutes. Seaplane flights may be booked directly with seaplane providers. 2. Commercial Flights – Just an hour away from Manila by air, Busuanga, Palawan is accessible daily via Philippine Airlines and Cebu Pacific flights from Manila. From Busuanga Airport (airport code is USU), guests need to travel 1.5 hours by land to Sagrada Port followed by a 30-minute boat ride to the resort.